Searching for a Certified Home Appraisal in Fresno, TX? 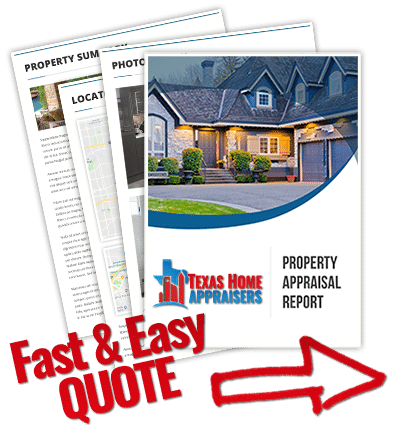 Our Texas certified appraisers are the leading providers of independent residential and commercial real estate appraisals in the Fresno market area. Our philosophy is to deliver a fast, reliable and effective appraisal service that meets our clients expectations exactly. Not only do we deliver our reports faster than most other appraisal firms, we advertise some of the lowest fees for appraisal services in the area. Furthermore, our appraisers are able to provide valuation services for any use including lending, private matters, insurance, legal issues and any other situation that requires an accurate and reliable property value. We are dedicated to providing competent, courteous and prompt services to all our clients be it homeowners or industry professionals. If you’d like to discuss your appraisal needs in more details please contact us via the phone number on this site or the online contact form found above. Do you need a independent houston house appraisal today? Call us or complete our online quote form and a member of our staff help you in quick time. Though you never want to over-improve your home in a way that exceeds the median standards of your neighborhood, you can increase the value of your home by doing minor paint, fixture, and flooring updates. However, a local appraiser familiar with your market can help you figure out the best home-improvement value. How do I get a copy of the appraisal report from my lender? You are entitled to receive a copy of the appraisal from your lender. As part of the loan process, lenders are required to furnish a copy of any valuations performed on the collateralized property, regardless of whether credit was extended to the borrower. Is an appraisal the same as a comparative market analysis (CMA)? The two services are quite different in scope and level of research. A CMA will most be comprised of a market comparison approach. While appraisals also us comparable properties, the level of research placed into each property and subsequent adjustments are much more in depth than a CMA. An appraisal report will consider land values, cost approaches and income approaches in the case of rentals. A CMA delivers a “ball park figure”, an appraisal delivers a defensible and carefully documented opinion of value. The most influential of all these factors is the person creating the report. Any Realtor can create a CMA without having competence within the market area or home valuation in general. Appraisers on the other hand are bound by ethics rules that require them to have market competence or disclose the lack thereof. Likewise, the agent has a vested interest in the property’s selling price whereas the appraiser is bound by a code of ethics to collect only a flat sum for assignments, regardless of their outcome. A comp can be a sale, pending sale or a listing that is similar to the subject based on typical parameters of size, age, condition and location. The appraisal value is heavily based on the sales comparison approach for most residential properties, making comp selection a very important aspect of the process. Much time is spent by the appraiser searching for and reviewing all possible comparables to determine those which are the best indicators of a comparable sale.